This year prove to be a breakout year for Teyana Taylor. She finally got the recognition as a singer, and dancer thank to the video for Kayne west song "fade". She had a beautiful baby girl named Junie. And it's was just announce, after much speculations that she have gotten married to an amazing man NBA star Iman Shumpert. But it's seem like yesterday, when teyana Taylor were on the breakfast club talking about how her ex best friend, and ex- fiancé have hooked up behind her back. But what this situation prove is two things: watch who you called your best friend, and no matter how love can hurt, you shouldn't give up on love. Tae Heckard, and Teyana Taylor were best friends, but tae went behind teyana back, and start dating her ex-fiancé NBA player Brandon Jennings. And to make matters worse tae wasn't even woman enough to tell teyana about the new relationship, Teyana Taylor had to find out like everyone else did through the blogs. Then Teyana Taylor went on the breakfast club, and spoke how she was more hurt by Tae Heckard actions then her ex, because they were on & off at the time of their hook-up. But she also went on to say in the interview that she have since then move on, and dating a new guy, who we all come to learn to be Iman Shumpert. Iman Shumpert, and Teyana Taylor relationship shows that once again there are good men out there. 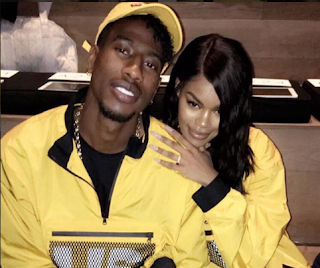 Since the beginning of the relationship, Iman Shumpert make sure to sing her praises, and let it's be known that teyana is the only woman for him. When you get your heart broken, it’s scary to think about another relationship after your heart were broken, but what people don’t realize that you have to get your heart broken, in order to know what you need in your next relationship. You can’t let one bad relationship keep you from believing in love, and you can't hide behind those fears either. We let one bad relationship, or situationship keep us from believing in love, and thinking that there aren't any good people out there. Like I said many time before if a person isn't afraid to lose you, then that is not the person for you. We have to believe, and be patience for what the most high have plan for us. Just because we want it now, doesn't mean we are ready for it now. But there was another lesson learned from this situation as well, just because one person treated certain way doesn't mean you will be treated the exact same way. Tae Heckard, and Brandon Jennings went on to become engaged, and have a beautiful baby boy. But during her pregnancy, Jennings broke off the engagement allegedly because he met another woman. But what make this situation worse are the actions of tae heckard, she prove that no matters how many years in your friendship, that don't mean anything when it's come to a man. The same women who be there to wipe your tears, are the same women who will blame you for your tears. When it's come to your relationship, it's a reason they say your spouse is supposed to be your best friend. When you share your personal problems with your friends, instead of your spouse you asking for troubles, and opening the door for problems in your relationship. We all know that dating is hard in this new technology world we're living in, so finding the right mate now take more time. 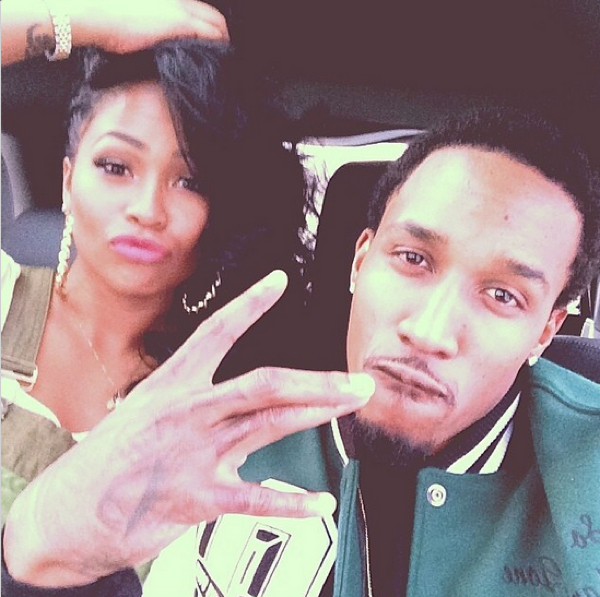 But if your so-called friend see you with someone, and he treating like a queen then your so-called friend will try him to see if he would sleep with her, and this was the case of tae heckard, and Brandon Jennings. She got tired of being single, and with Brandon Jennings track records at the time she knew that he would fall for the bait. But she soon learned that she was just another woman on his list of many other women, and he had no desire to marry her. The title of “best friend” is a hard title to give out, (which I don’t understand why women have more than two). 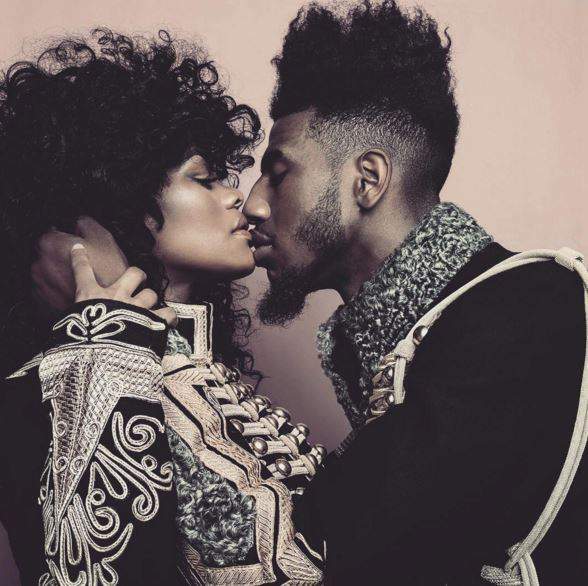 Teyana dealt with two break ups: the loss of her best friend, and the man she once thought she was going to married. But life since then have given her a beautiful baby girl, and an amazing father for her daughter. Sometimes you have to let toxic people leave out of your life; in order to continue your journey of completion, because in fact Teyana Taylor knew her husband four years prior before they hook up but it wasn’t until tae left her life, and she went on to hook up with her toxic ex brandon jennings; that Teyana finally gave Iman a chance, and now they have a beautiful love story. So let that marinate on your mind for a minute while you’re hanging with your girlfriends. I appreciate your post I am just starting out and I can't get the hang of it yet . Excellent article. Moving on without baggage is the key. Do not allow yourself to carry the baggage from one relationship to another.